Removing trans fats from processed foods may be good for consumer health, but it makes life more challenging for food manufacturers – especially if you’re a margarine producer. Here’s how emulsifiers can help. 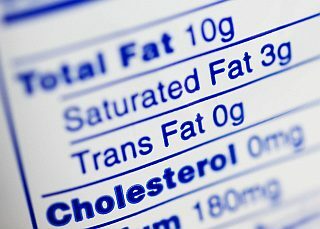 A May 2018 article on Foodnavigator.com brought the news that the World Health Organisation (WHO) has called on governments to eliminate trans fatty acids (or trans fats, for short) from the world’s food supply by 2023. The article goes on to outline a six-step process WHO is calling REPLACE (REview, Promote, Legislate, Assess, Create, Enforce), which governments can use to guide their efforts. Emulsifiers are already playing a role in the battle to eliminate trans-fats in margarine and baked goods– but their use is not as widespread as it could be. And that’s an important message for the food manufacturers who will now be facing even more pressure to reformulate existing recipes and change their plans for new ones. It does, however, also offer a new opportunity to investigate more sustainable solutions in the form of emulsifiers produced from RSPO-certified segregated palm oil and produced in carbon neutral factories. In the early nineties, a landmark Harvard Medical School paper1 concluded that trans fatty acids present a significant health risk, with higher risks of cardiovascular disease already registered at daily intake levels of just 5 grams to 6 grams. The impact of the study was powerful and, at least in Europe, instantaneous. Since 2004 in Denmark, for example, oils and fats used in food products have been permitted a maximum of 2% non-animal trans fat content. Removing industrially produced trans fatty acids is already on the agenda in the US, with a ban coming into effect on June 18 this year, but, as the Foodnavigator.com article points out, they are still widely used in Russia, India, Africa and the Middle East, meaning food manufacturers in those countries will have their work cut out for them if their governments follow the recommendations of the WHO to ban industrially produced trans fatty acids by 2023. Having worked with margarine production for more than 30 years, I’ve experienced first hand the difficulties that arise when you remove trans fats from margarine – and I’m happy to share my learnings. Without trans fats, which is commonly derived from partly hydrogenated fats, it’s much more difficult to consistently produce high-quality margarine. In fact, every part of the production process becomes more sensitive to a variety of factors that were comfortably handled by partially hydrogenated oils in the past. One such factor is the higher melting point of other fat types. For optimum flavor release, it’s best to use fats that melt at approximately mouth temperature: around 35o C (95 oF). In the old world, trans fats fitted the bill perfectly. In the new one, the only economically feasible, readily available fat type is palm oil (preferably sustainably produced), fractions of palm oil, or interestified fat types – but all lack comparable functionality. The melting point of a fat also affects the ability of manufacturers to work with the fat during the production process. In a trans-fat-free world, you get a mixture of high melting point fractions and liquid oil, giving a higher melting point and a tendency toward softer products. Perhaps the most important phenomenon, however, is the slower crystallization speed of trans fat alternatives. Generally, manufacturers simply cannot produce as much margarine from the same production lines as before. Process parameters require adjustment to handle slower crystallization, and most often, investments in new tube chillers are demanded or, for example, the combination of two machines where only one was needed before. Whichever route is chosen, final product quality just won’t be the same. Lower production capacity is one effect of slower crystallization. Another is that crystallization continues to develop for longer than the usual 24 or so hours during pre-storage, changing its structure over an extended period of time and resulting in a more brittle product. Storage, therefore, and storage temperature variations, have a much greater effect. In pre-storage, an attempt might be made to to reduce brittleness and ensure consistency by varying temperatures from, for example, 21 degrees for the first 5 days then reducing to 16 degrees thereafter. For some, new pre-storage facilities that can enable the required temperature control may be required. For a century, emulsifiers have played a crucial part in successful margarine production, allowing manufactures to control aeration, fat reduction and plastification in a variety of products, ranging from frying margarines to low-fat spreads and puff pastry margarines – and, most importantly, when it comes to trans-fat removal, the ability to control crystallization. Made from either rapeseed or RSPO SG-certified palm oil, oil absorbing and crystallizing emulsifiers and crystallizers help manufacturers speed up the crystallization process by entrapping the liquid oil in a network of small crystals which are formed during cooling and which help create a platform for other fats to grow small crystals from. This also means no oil separation in the finished product – even when it’s stored at elevated temperatures. Are crystallizing emulsifiers always necessary? You might ask, are crystallizing emulsifiers the only feasible solution to the problem of slower crystallization? and, are they, in fact, always necessary? The answer is ‘no’. It is possible to create recipes that perform just as well as, or at least comparably to the performance of a trans fat-containing formulation. Cake margarines, for example, that use fast-crystallizing fat types such as palm oil or coconut oil fat, have nothing to be gained by adding crystallizers. But with cheaper fat types, small amounts of crystallizers can make a significant difference. There is, however, no way to avoid spending some amount of additional funds to cope with a trans fat-free world – and for most, the costs will be high. Manufacturers will need to take a look at their equipment line-up. Most likely, older machinery won’t be enough to maintain current capacity and product quality on the new, trans fat-free playing field – at least, not without applying crystallizer dosages as high as 2%. Upgrading brings new and better technologies with it – enabling, for example, the use of CO2 as a more efficient and effective cooling medium. But even after an upgrade to more modern equipment, manufacturers should still expect to incorporate from 0.5 to 1% crystallizer content in their recipes.